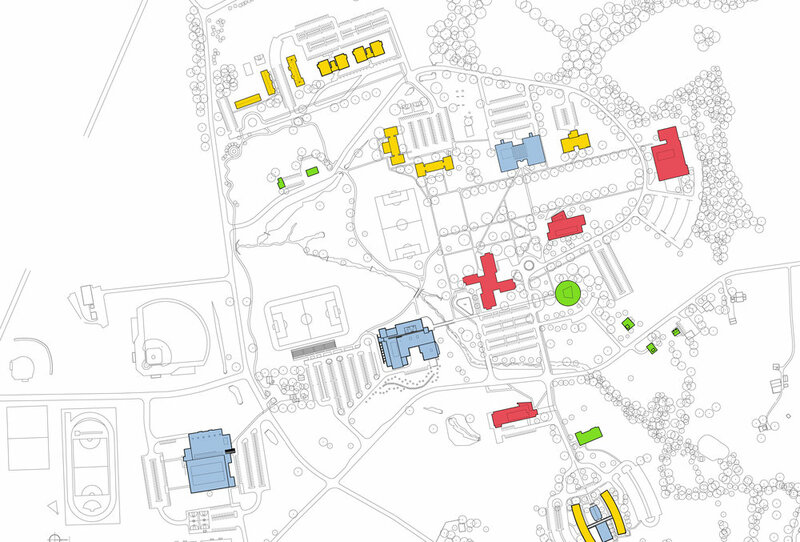 In an effort to develop design strategies for a new student housing development for the DeSales University campus, it was apparent that no meaningful study could commence without first understanding the existing morphology of the campus. 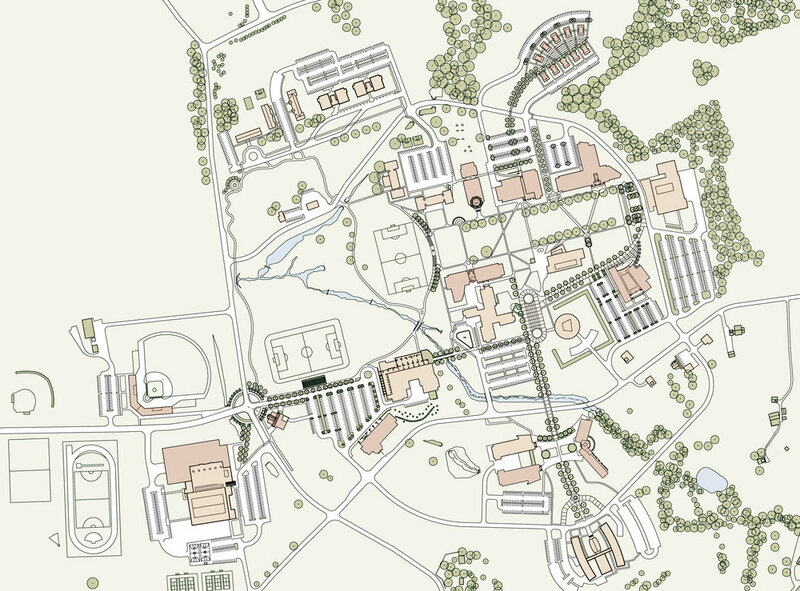 This master plan study begins the process of defining a planning strategy for the DeSales University campus by interpreting the latent systems of “Order & Identity”, i.e., building function, green spaces, and systems of circulation, in order to clarify the contribution that the new residential development will make towards a cohesive, comprehensive campus plan. Campus Diagram - Existing Program.